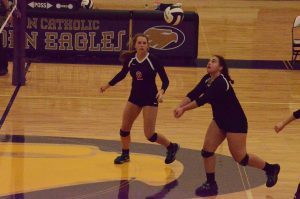 The Cardinal Ritter Volleyball Program traveled up to Guerin Catholic on Monday to take on the Golden Eagles. 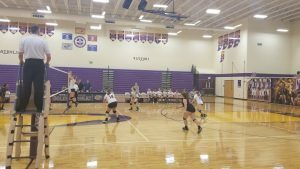 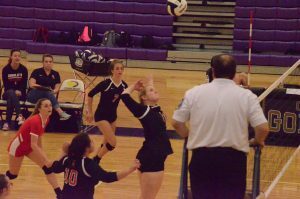 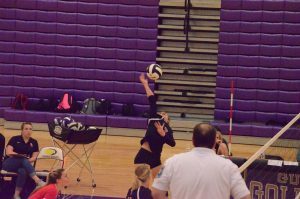 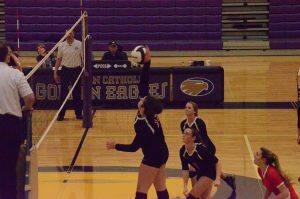 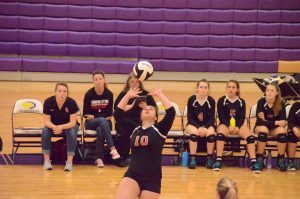 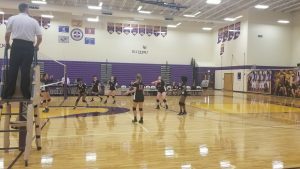 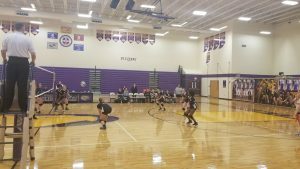 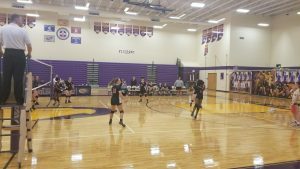 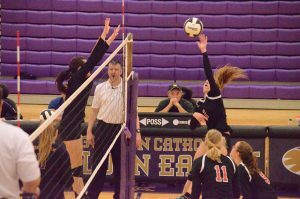 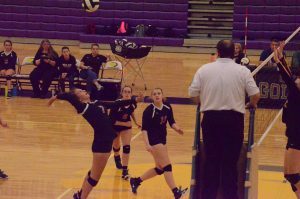 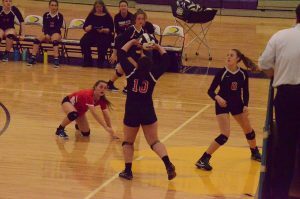 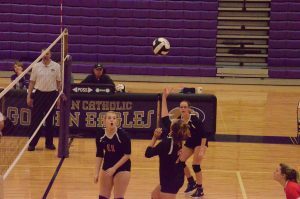 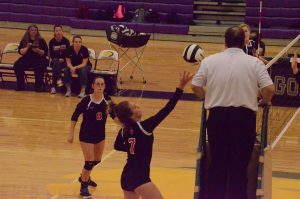 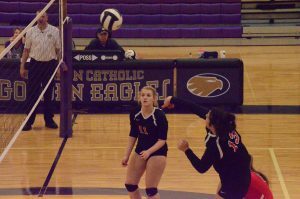 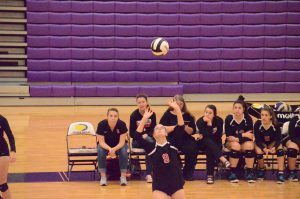 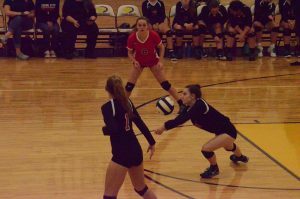 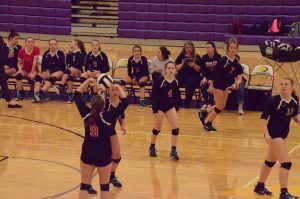 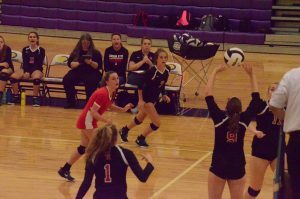 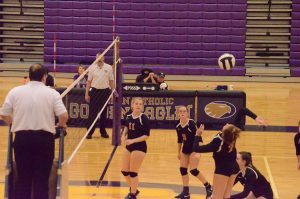 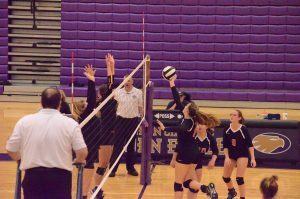 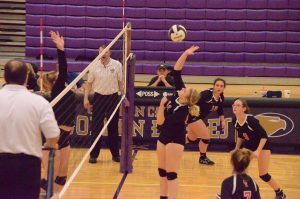 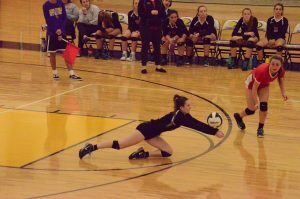 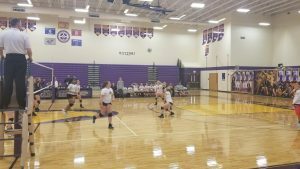 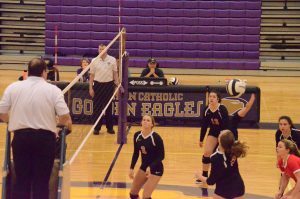 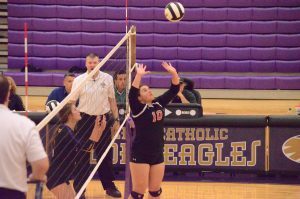 The Varsity Volleyball Team lost to Guerin Catholic in four sets. 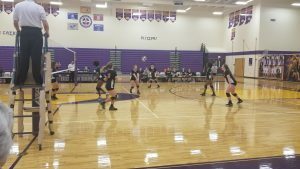 The Lady Raiders lost the first set 13-25 but bounced back in set two to win 25-16. 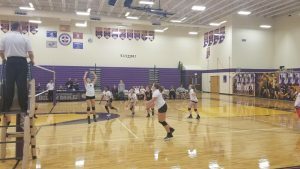 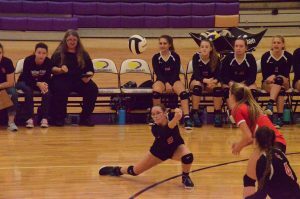 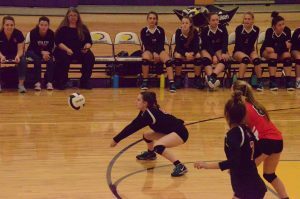 The Raiders dropped sets three and four 16-25 and 19-25. 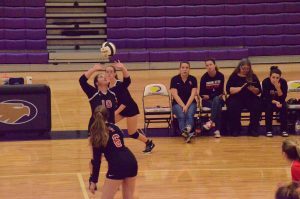 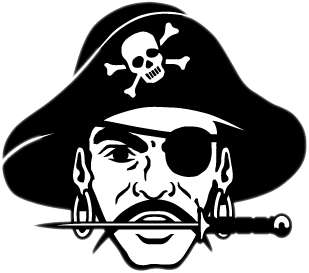 Freshman, Kelsey Waggoner lead the Raiders with 12 kills while Senior Grace Arm”And Hammer” bruster added 9 kills. 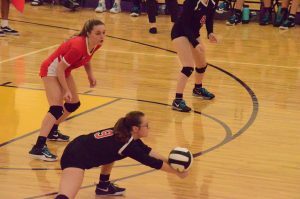 Defensively, Linsey “Say Hey” Waggoner led the team with 20 digs. 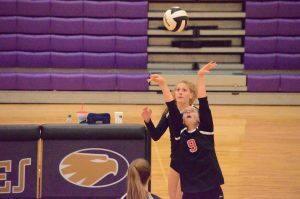 “MC” MariClaire Warnock dished our 18 assists tonight while chipping in 16 digs. 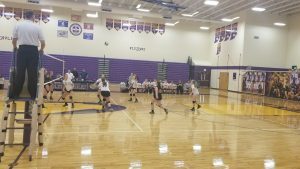 The JV Team beat Guerin Catholic 25-23 and 25-21. 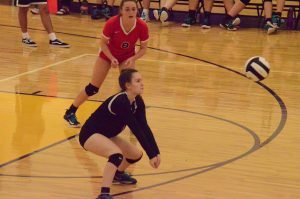 Emma McKee had four aces and Maggie Cmehil led the team with 13 digs. 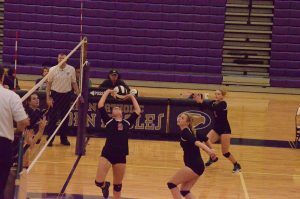 Mackenzi Grzegorzewski and Emma Hunt both led the team with 5 kills. 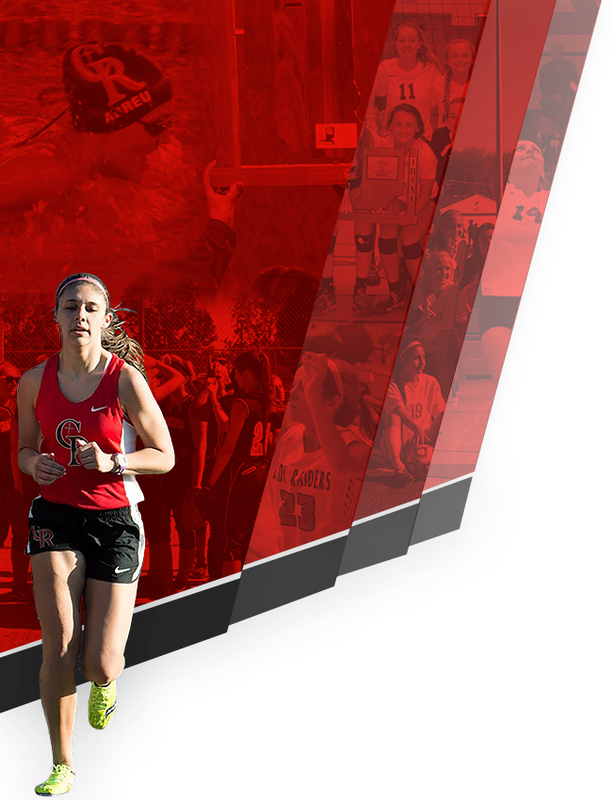 The Lady Raiders are back in action Wednesday as they take on Brownsburg at home. 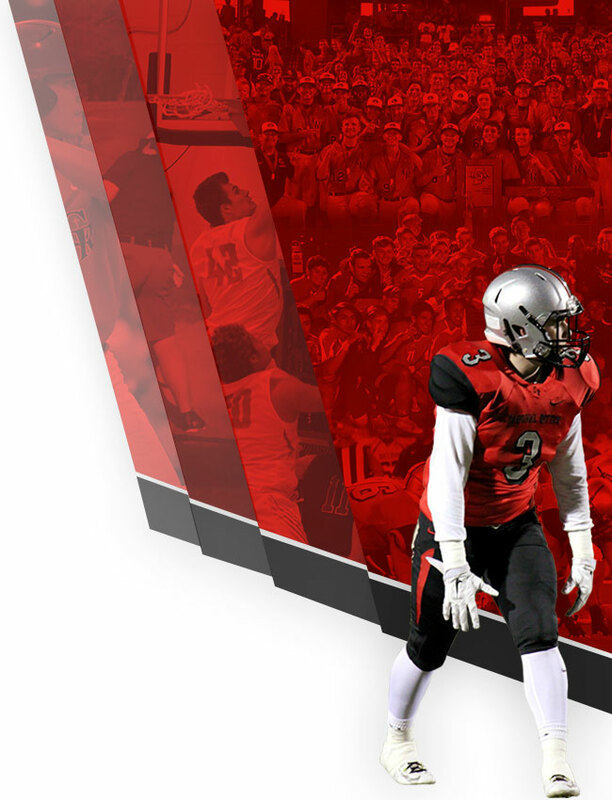 It is senior night so come out and support your Raiders!